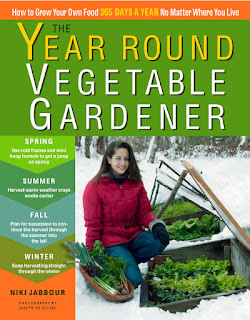 Niki Jabbour - The Year Round Veggie Gardener: My first official book review (it's good!) and a few other programming notes..
My first official book review (it's good!) and a few other programming notes..
Oh my gosh! I just discovered that there are reviews of my brand new book out there.. Here is the link to the one I just found - Foreword Reviews! I am so excited.. To spend 2 years working on a book (plus the many years of research - aka 'epic failures' and 'modest successes') and finally see it come out (still hasn't arrived in Canada yet though - mere days I think!!) and have such a wonderful review, makes me ecstatic! Ok.. cleansing breath.. must get back to work on book #2 or I will be in big trouble come September..
As well, in today's Weekly News, there's an article about the book! 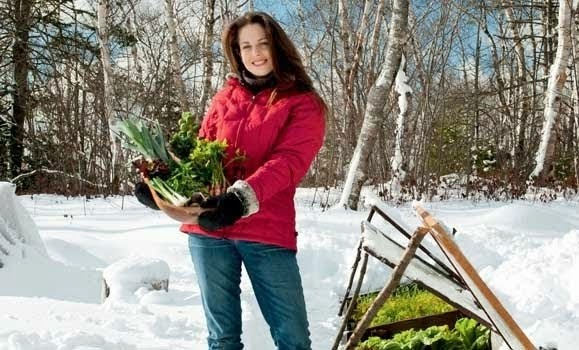 Also, I hope you'll tune in for my spot on The Organic Gardeners radio show this coming Sunday, Jan 8th at around 8:15 Atlantic time (7:15 EST)! To listen live online - click here. I love Doug and Jessica and can't wait to join them on their extremely popular show.. The review was one of the best I have ever read, from personality to empowerment..we CAN grow a four season garden here. The book is a beauty, lay out super, photos spectacular, and the writing inspiring. I give your book rave reviews also! 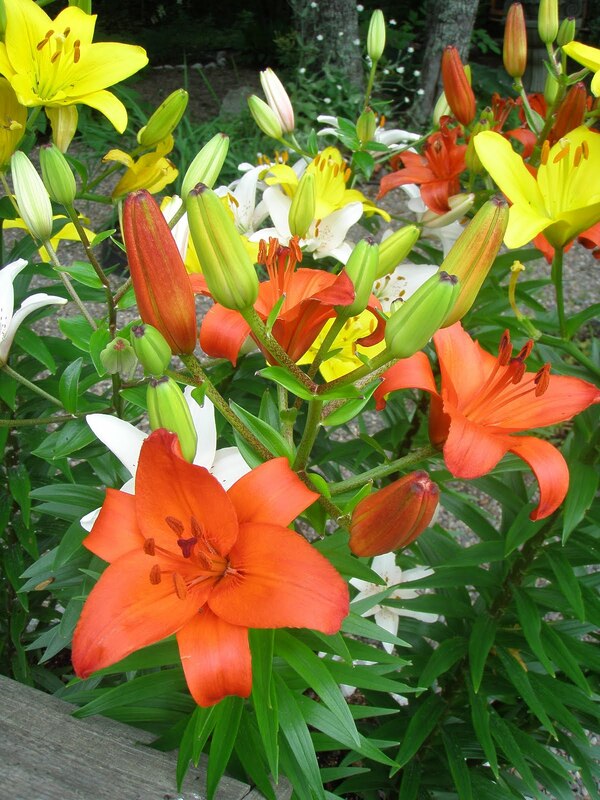 The humor is wonderful and the reading is easy and interesting written for the lay gardener. I bought the book especially to learn about winter gardening, but I am loving the detailed tips for planting and growing each vegetable through the various seasons. It is going to be such a handy reference. 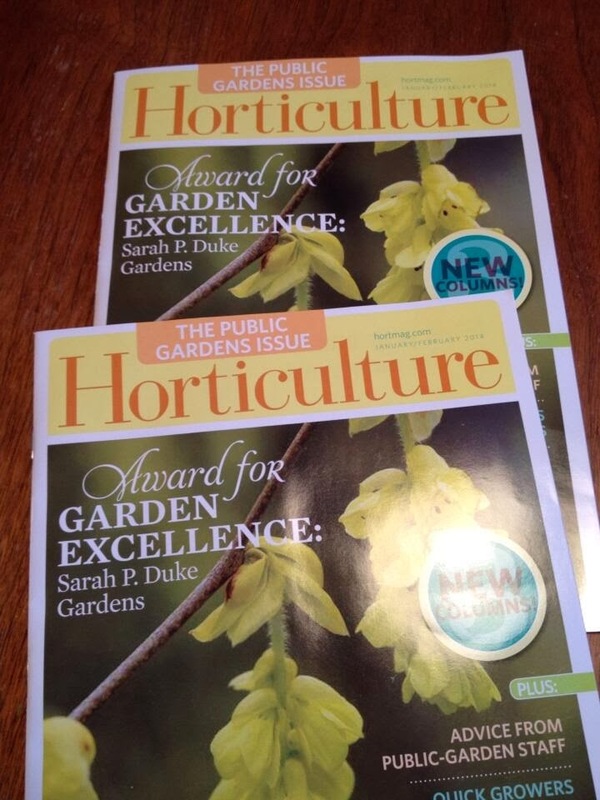 I've been spending my afternoons scouring the catalogs looking for some of Niki's Picks. One question though if I may. 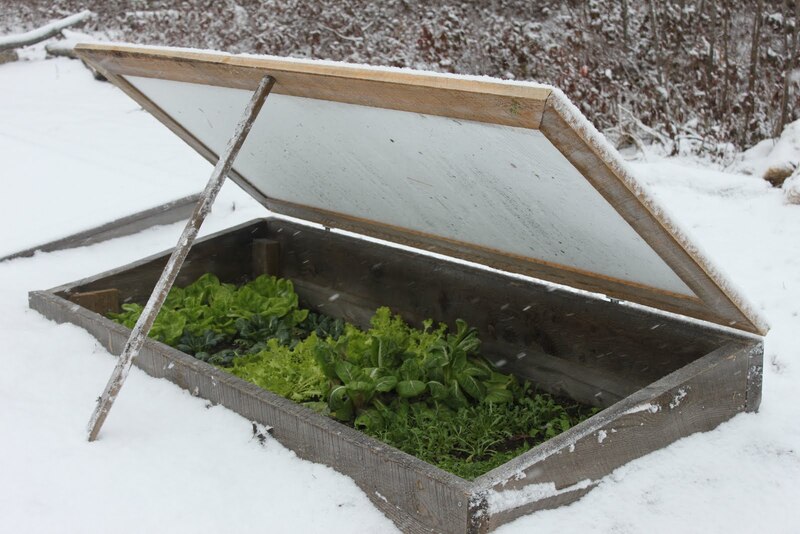 Have you found any methods that work well for you to keep the wind from taking off with your cold frame covers when you only want to have them propped open a little bit? I can imagine different ways to accomplish that, but thought maybe you would have a tried and true method! Thanks to Joseph de Sciose for the great photos too! Outstanding book and great review. Are you getting this cold surge in Halifax. Until last night, we had been blessed with weather not demanding protection for fall veggies. Are you working on something new?